Hello, hello! LOOK at this beauty. 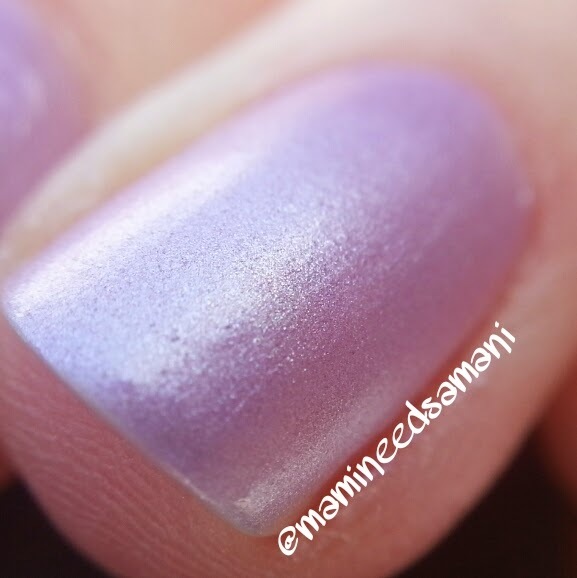 It starts as this totally soft lavender shade, then you take her out in the sun, and BAM. Purple, baby! But...you'll have to wait a little while. This indie brand isn't launching their first line until February 28 at 11 am CST! What you see here is three average coats with no top coat. Application was a little bit tricky a couple of times because I tried to over work it and it pulled ever so slightly near my cuticles. However, after the second coat, there weren't any visible divots or lines (aside from the peeled gash in my index finger nail...cries). It dries to a nice matte satin finish with a great shimmer. I love the shift that this polish offers between indoor/shade and sunlight. Now...you can't get it do do this inside. Believe me, I tried. Lamp light? Nope. Energy efficient "bright white" bulbs? Nope. Sun blazing through the window? (I totally thought that would work, but...) Nope, at least not to this degree! It's truly stunning to see it switch right before your eyes. The fact that it's my favorite color is...well, a definite bonus! Here's a quick macro to show the color detail. The main factor that I look for in a polish, is color. It's the first thing I see - obviously - and it's the first thing anyone else sees. Second to that would be the finish and/or effects. I've seen thermals, but I've never seen these solar reactive polishes, so this is a definite bonus. I personally try to steer clear of a polish that requires more than two coats, but I always make exceptions to that rule. 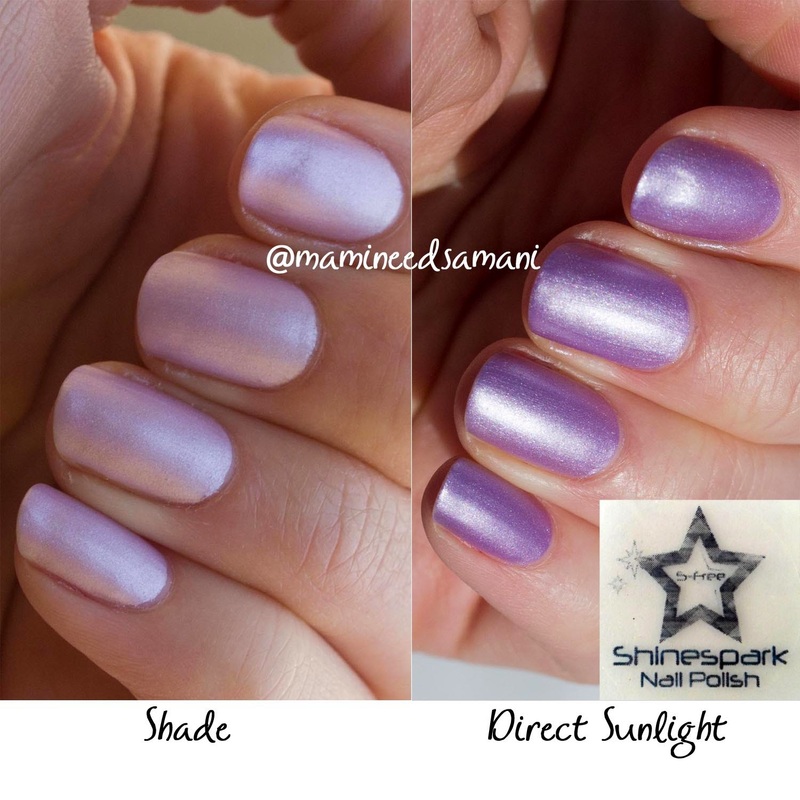 If I adore the color and finish/effect of the polish, I can look past the number of coats, or the fact that it might be kind of tricky to work with. Overall, I'm pretty pleased with this polish! In my next review, I will be playing with a little Mickey glitter mix up from Shinespark as well! What do you think? What do you look for in a polish? Don't be shy, I don't bite!